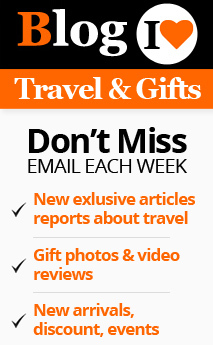 Soon after the plague, a hoard of small flies plagued central Europe. So by the year 1500 a law was passed in Germany that all the food containers should have lids. So the beer mugs also acquired lids fitted with a thumb flick or easy opening of the container. This was the origin of the German beer steins. 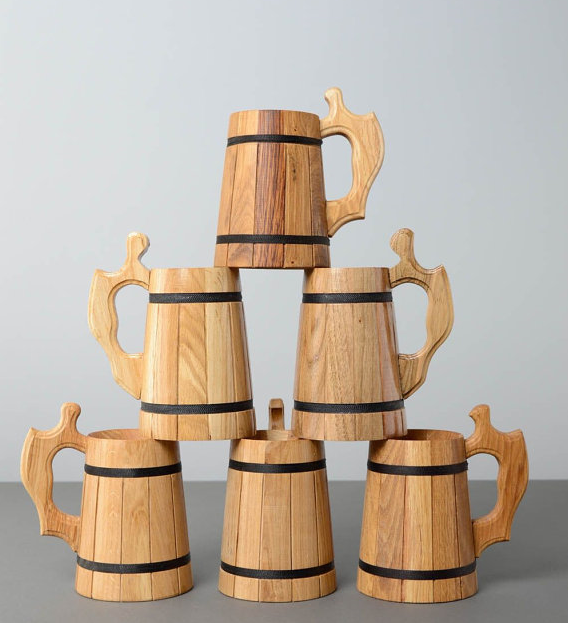 At first pottery and wood were used for making these drinking containers. But because of their easily perishable nature and the stink that emanated from them after a few repeated use soon made these unpopular. The affluent class could afford pewter and silver steins. But after the Renaissance, people felt freer to experiment with their scientific knowledge. As a result, they learned to bake the clay vessels in furnaces with a temperature ranging between 1200oC and 2200oC. This half-melted the clay to form a stone like material which is more sturdy, moisture free and not porous. 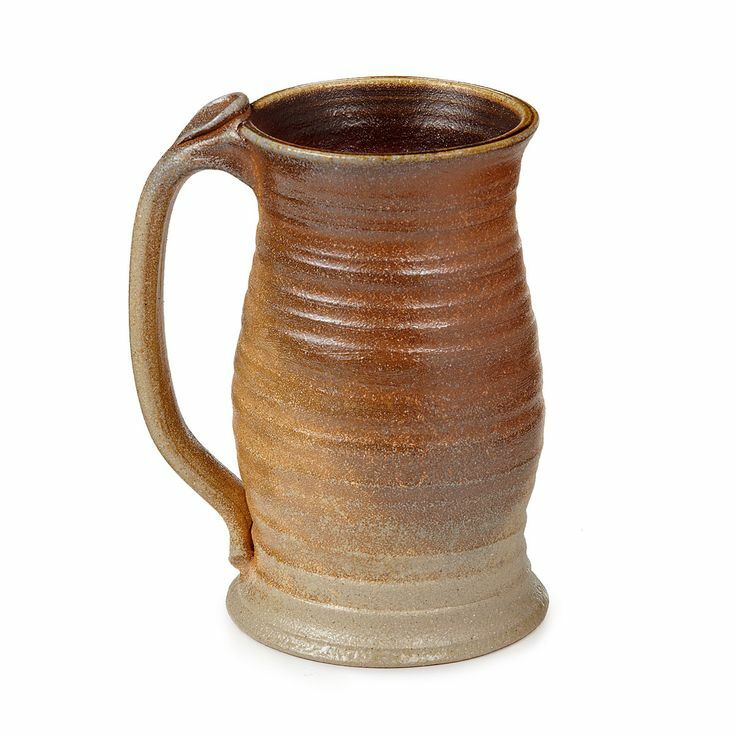 These vitrified steins soon became popular and they remained popular along with the pewter beer steins. The invention of porcelain in 1709 opened up another era of porcelain beer steins. In the 17th century, each province in Germany used to produce their own characteristic beer steins. As a result, the Southern provinces like bohemia and Austria produced wide and sturdy steins while the Northern provinces shaped theirs as tall sleek containers. The Western steins were grey stone vessels with blue decorations and the Eastern stone wares were of glazed brown color. But soon the obsession with shapes ceased and majority of the steins were tall and cylindrical in shape. Now the regional differentiation was marked by particular materials and characteristic designs. This was prevalent all through the 18th century. By the 19th century an important change took place in the History of Europe and that was the deterioration of aristocracy. The inevitable changes that happened in all the fields were brought about in the case of the German beer steins also. 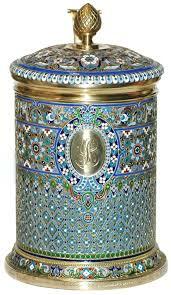 The neo-rich middle class did away with the expensive Baroque designs and used steins with folk art. This is known as Biedermeier period. In the beginning of the 19th century glass works also revived in Europe, breaking free from the restrictions so far imposed by the church. Pewter tankards also became popular at this period. This almost rendered the stone workers jobless. But again by 1850 the vitrified steins once again became popular. By then the artisans have learned to mass-produce these vessels using molds. Manufactures like Reinhold Hanke and Dümler used this technique to reduce the cost of production and gave the stoneware beer stein production a new dimension. The production of character steins also started at this time. By 1910 once again the stein making industry suffered; this time because of the World War I. After the war the industry flourished once again. 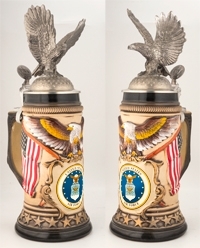 The German beer steins had attained the status of precious collectibles because of the renaissance art and Historicism on them. Many museums were opened all through the 20th century and the antique beer steins were much sought after collectibles and they continue to be so till date.